In order to confront the ghosts that haunt him, Palestinian director Raed Andoni assembles an eclectic group of ex-prisoners to re-enact their experiences of imprisonment and torture. 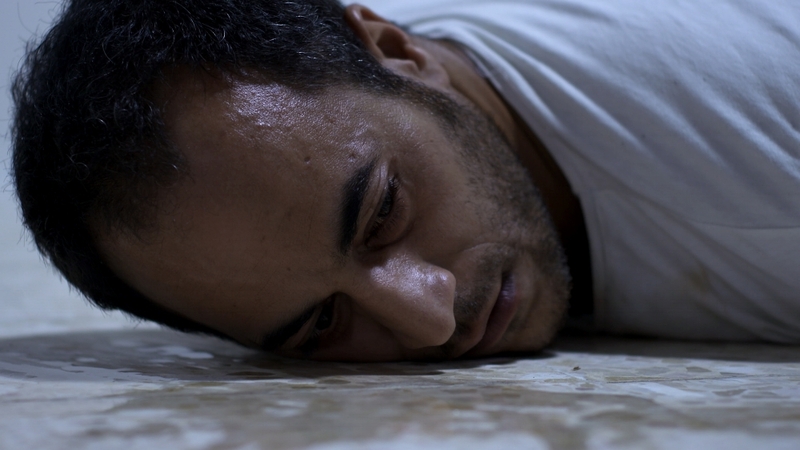 In a minimally-built replica of Al-Moskobiya, Israel’s main interrogation centre, where he was himself jailed at age 18, the survivors recreate the traumatic events for the camera. From fragmentary memory, day after day, they give shape to the interrogation centre they all experienced. As the walls of the cells rise, the tongues and the emotions loosen. Ghost Hunting has been selected as Palestine's entry for the Best Foreign Language Oscar for the 2018 Academy Awards. This screening will be followed by a Q&A with director Raed Andoni, hosted by LPFF Patron, Dr. Karma Nabulsi.